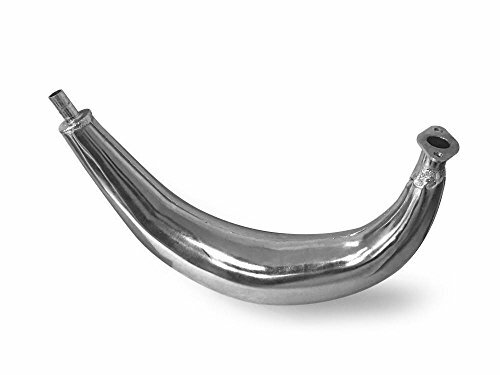 Expansion Chamber Muffler - Description This expansion chamber used on a two-stroke cycle engine to enhance its power output by improving its volumetric efficiency. It makes use of the energy left in the burnt exhaust exiting the cylinder to aid the filling of the cylinder for the next cycle. It is the two-stroke equivalent of the tuned pipes (or headers) used on four-stroke cycle engines. provide you with a boost in power and top speed. Expansion chamber 1 Lbs. This expansion chamber used on a two-stroke cycle engine to enhance its power output by improving its volumetric efficiency. It is the two-stroke equivalent of the tuned pipes (or headers) used on four-stroke cycle engines. provide you with a boost in power and top speed. If you have any questions about this product by kingsMotorBike, contact us by completing and submitting the form below. If you are looking for a specif part number, please include it with your message.